State Senator Amy Sinclair (R-Allerton) discusses news about a potential gas tax increase and a bill that would reclassify marijuana. 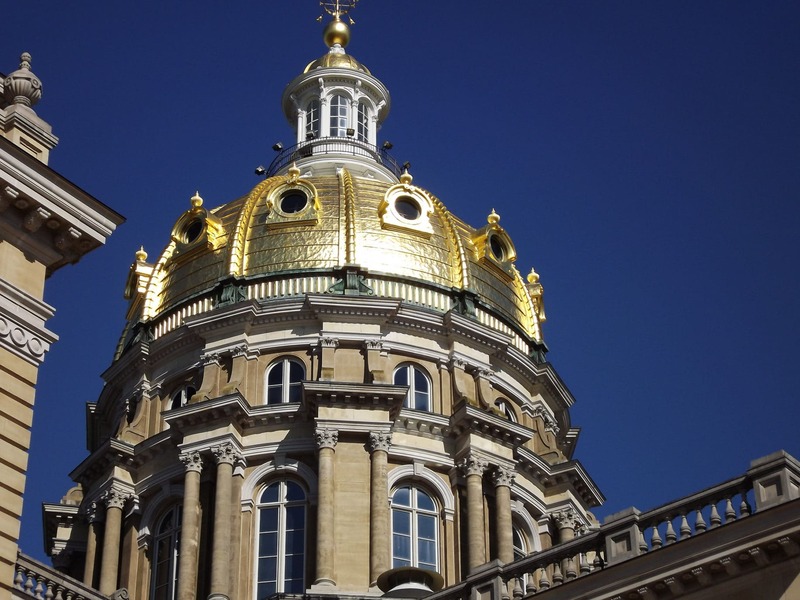 Senate Study Bill 1168 was introduced Tuesday with a matching bill drafted in the Iowa House. The proposed bill raises the state gas tax by 10 cents. Senate Study Bill 1168 would increase revenues to the Road Use Tax Fund and alter other related funding mechanisms. Prohibiting county bonding with the projected revenues if the debt would exceed the useful life of the project. From $25 to $50 in 2016, and $100 in following years. From $300 to $400 in 2016, followed by $500 annually. Increasing single-trip permit fees from $10 to $35 for 2016, and $75 after that. Increasing the annual all-systems permit from $120 to $160 for 2016, and $200 in following years. On top of those things, the bill extends the two-cent gas tax differential on ethanol blended fuel through FY 2025, and it establishes a three-cent gas tax differential on B-11 biodiesel blended fuel through FY 2025 under the same provisions as the ethanol differential. The ethanol and biodiesel formulas are subject to legislative review at least every six years. Because some of the fear that raising the gas tax is wasteful spending done by the Iowa Department of Transportation, the bill provides intent language that the General Assembly wants the increased funding to be used on critical road and bridge repairs. If the bill is to be enacted, the fuel tax increase would take effect the first day of the month following enactment. I continue to work on viable alternatives to funding our infrastructure due to concerns over how the gas tax will affect rural residents of Iowa and businesses in border counties. The Judiciary committee reviewed SSB 1121 on Tuesday, which would make a first offense for simple possession of 5 grams or less of marijuana a simple misdemeanor (punishable up to 30 days in jail). Current law is a serious misdemeanor (up to six months in jail). SSB 1121 passed subcommittee, and advances to the full Judiciary committee for consideration. The Senate Education and Commerce Committees took action on several bills this week. In the Education Committee, we passed Senate Study Bill 1058, which is a bill which allows school districts to have total local control of school start date. A bill in the House passed this week that would eliminate waiver options and push back the early start date to August 23. In the Commerce Committee, we discussed several bills that affect the insurance industry, including bills addressing PBMs (pharmacy benefits managers) and code language corrections. Other commerce bills included one addressing railroad right of ways and establishing consistency across the industry. The Iowa Juvenile Home is under fire for its use of isolation cells, but Iowa Governor Terry Branstad says the leadership and its practices have changed.